If you follow me on Instagram you'll know I spent this past weekend moving into a new apartment after two years of living in New York's Upper West Side. Needless to say my arms feel like they've been through a week of rowing class, though I owe a ton of gratitude to my family for helping me through the process. Despite sweating all through the weekend we made time to celebrate my parents' 25th anniversary with a dinner in the neighborhood of my very first apartment, East Village. Living in a city like New York is truly an unending adventure. One minute you're lugging your bed down four flights of a pre-war walk-up, and the next you're slipping into your Sunday best for dinner and cocktails. There is no time to waste here, and while this lifestyle takes a toll on my energy, I am also fueled by it. So here's to a another chapter in the city that continuously keeps me on my feet. It's been a year with a great deal of newness between my career and home, and I'm sure it does not stop there. In the meantime I'll be preparing my new space for a visual room tour -- stay tuned! There is a level of energy that only the summertime seems to foster. People are out from morning to night, making the most of every minute of the season. Here in New York City, crowds quickly form both on and off these streets, with people either exploring local spots or escaping to less urban scenes. Either way, this is the season of activity, and I'm definitely not ready for it to be halfway over. When it comes to summer I'm always on my feet. I love a good beach escape as much as an afternoon spent hiking or strolling new neighborhoods. Because of this, comfort is obviously key -- and a versatile pair of sneakers is the best way to get through the summer with style and energy. These beige adidas Neo Courtsets from Famous Footwear were the latest additions to my closet to finish off my palette of neutral sneakers. Needless to say I already have a ton of outfits in mind to pair them with. The best wardrobe items are those that are ready for any occasion, and it's safe to say these shoes were made for all the summertime adventures still to come. 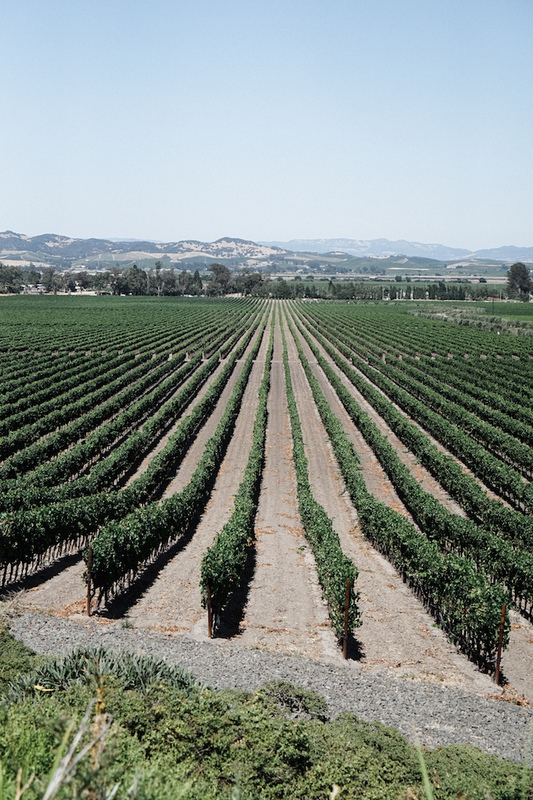 A trip to Northern California is incomplete without a stop in the infamous Napa Valley. Though our long weekend in San Francisco was brief, we made sure to schedule in a day trip to wine country with Tower Tours. Aside from the obviously amazing wine, this area is worth the visit for its sheer beauty. With sweeping vineyard views and not a high-rise in sight, the Napa Valley is the perfect destination for a serene getaway. On this tour we visited three lovely wineries, all of which I'm sharing below (as promised in my last post). It's been a long time coming, but this girl finally made her way to the Golden State of California. My cousins and I spent July 4th weekend in San Francisco, a city of rolling hills, a melting pot of cultures, and countless landmarks. I've been anxiously waiting to visit California for years now and always assumed San Francisco would be first on the list. Its diversity in all aspects gives the city a vibrancy similar to that of New York, but with a clearly more relaxed West Coast vibe. Any walk through its streets is no easy feat, but the experiences along the way are incomparable. 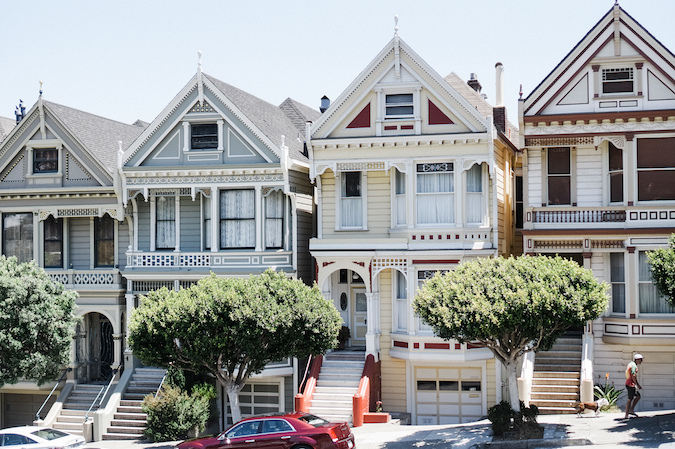 For my fellow first-time visitors, or anyone looking for that classic San Francisco experience, this post highlights the full itinerary from our long weekend. Be sure to stay to the end as I've recapped all our food choices together -- the most important part, of course. California, I hope to see you again soon!